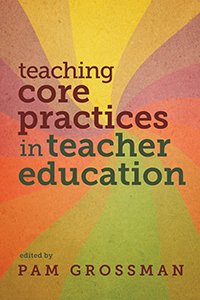 MoreTeaching Core Practices in Teacher Education outlines a series of pedagogies that teacher educators can use to help preservice students develop these teaching skills. Pedagogies include representations of practice (ways to show what this skill looks like and break it down into its component parts) and approximations of practice (the ways preservice teachers can try these skills out as they learn). Vignettes throughout the book illustrate how core practices can be incorporated into the teacher education curriculum. The book draws on the work of a consortium of teacher educators from thirteen universities devoted to describing and enacting pedagogies to help novice teachers develop these core practices in support of ambitious and equitable instruction. Their aim is to support teacher educator learning across institutions, content domains, and grade levels. The book also addresses efforts to support teacher learning outside formal teacher education programs.